UpStake, an exciting cryptocurrency project officially launched last year, is all set to take the global crypto community by storm. 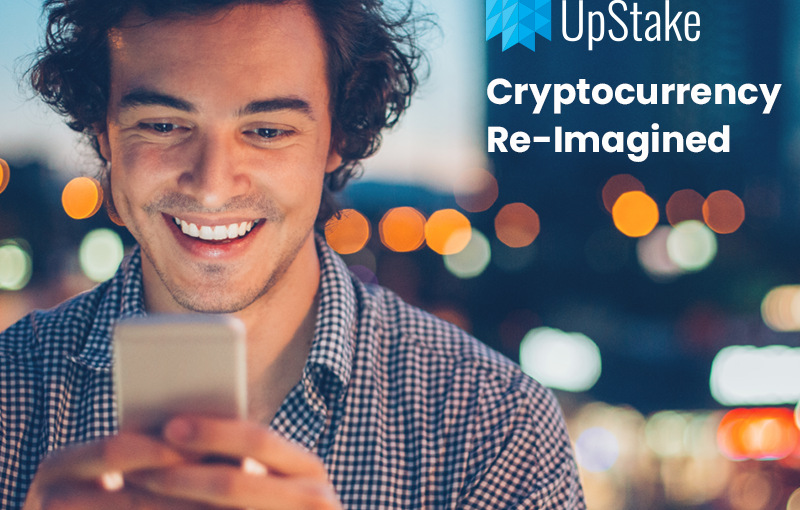 Unlike hundreds of crypto ventures that fail to make any impression, UpStake is dedicated to delivering a stable digital currency that will pave the way for mass adoption around the world. About UpStake: UpStake is an exciting cryptocurrency project focused on delivering a stable digital currency that will pave the way for mass crypto adoption around the world. UpStake accomplishes this feat with a Proof-of-Burn model that periodically burns a certain percentage of tokens sold through their exchange. 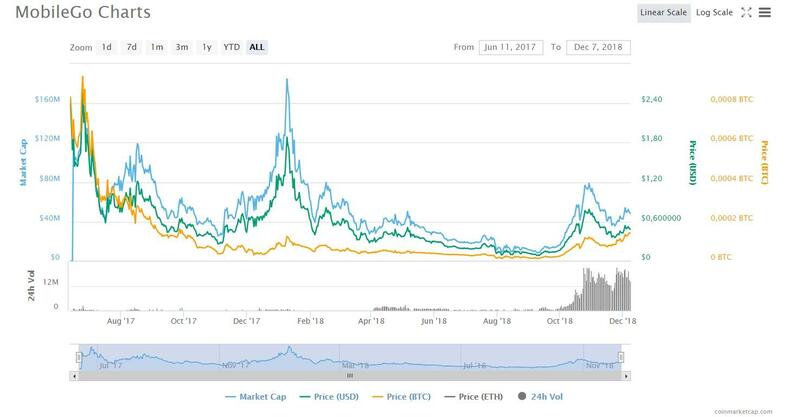 Turbulence in the global markets is nothing new but the cryptocurrency community has faced an unprecedented 18-month period of flux. The need for a fully decentralised, stable, self-regulated and community-led exchange that can offer investor confidence amidst a chaotic global economy has never been stronger. Setting the Gold Standard with Crypto’s Founding Principles. With a scalable inter-blockchain and decentralised exchange the GOLD.IO platform is not only self-regulated and led by its stakeholders, but asset linked – offering exchange investors unrivaled portfolio security. Gold has always set the market standard and has benchmarked traditional finance for centuries, so why should the cryptocurrency market be any different? As a commodity, it has weathered many a financial storm and continues to do so today. 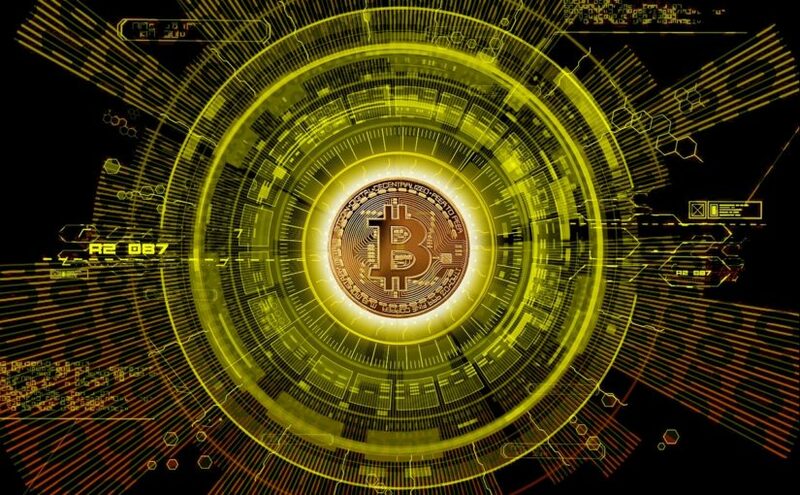 Aside from a little price volatility it has consistently retained its market value, and with an unstable geopolitical, crypto-economic outlook the precious metal can provide a safe port for crypto assets. In short, a gold-linked and backed exchange offers not only security of your assets but a piece of mind – the world has been through tougher times than we face today, but gold has always survived the course. GOLD.IO – Providing a Defensive Asset Protection to your Investments. 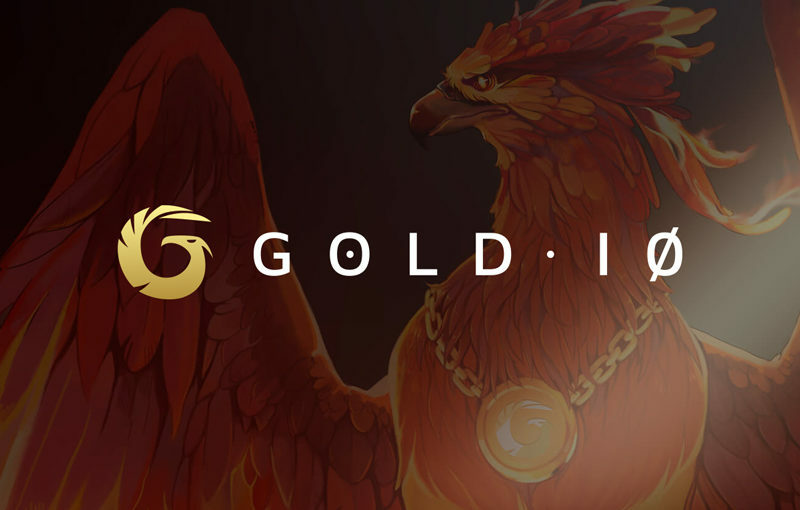 With a team of over 30 experienced developers, GOLD.IO has simply put a sister chain of the EOS Project which has the mission of creating a Decentralised Exchange (DEX) of smooth inter-block communications that not only eliminates persistent market influences but has the unique benefit of being backed by a commodity asset class. Combining the proven power of gold as well as a growing community that is not only self-regulated but also stakeholder-led – GOLD.IO is also seeking to develop a fully-fledged Decentralised Autonomous Community (DAC) based on the founding principles of the blockchain. The DAC will serve as regulatory oversight of the exchange with all stakeholders enjoying full voting rights, a say over project development and more importantly the ability to define their profits. Gold Backed Tokenomics Offers Trading Efficiency & High Liquidity. With global stock volatility at best and a downward trajectory at worse – according to Goldman Sachs the markets are gripped with a fear of what may come in the coming year, a gold-linked exchange, with inherently high liquidity can part-mitigate investor risk. With no independent or fair exchange yet to provide what GOLD.IO can, the benefits of the platform as a market leader are clear but the real magic comes with the EOISO blockchain system itself – it eliminates third-party manipulation and offers a unique architecture to ensure users remain the custodian of their gold. Join The Power of GOLD! Join the Gold Renaissance Today! For all media and industry queries, please contact us via our website or chat to us today – we are keen to hear from you! To find out more about us please visit our website – as leaders in the decentralised exchange space we want to work with you! With global cryptocurrency investors hit by a near 18-month period of industry turmoil – the community requirement for a stable investment platform that can mitigate market volatility has become ever more important. With hundreds of cryptocurrencies traded on global exchanges and even more coming to sector every quarter – the success rates of new ICO’s remains low against established currency platforms and with ICO funds often held in situ for 1-3 months until publicly traded, investor risk remains high. What is needed is a Platform that can Reduce Investor Risk & Boost Confidence. Introducing URA.market – The only blockchain venture of its kind offering a fully automated, independent and secure 100% divestment option. Based on Etherium and with strict adherence to the founding principles of Blockchain – namely a deregulated global economy free from state manipulation, URA.market has already provoked the market with a Market Capitalisation of 630 ETH and 200 investors in 7 days. Founded in December 2018 and based on a proven mathematical algorithm, the platform excludes the possibility of price manipulation and allows for both token overflow and price collapse scenarios. In short, URA.market offers private funders a true rarity – stakeholder and trading stability in an unstable market whilst maximising token utilisation. In a word our platform offers investor contract protection with open-coded and transparent smart contracts – underpinning this is a winning combination of both market and mathematical modelling. The URA.market platform also offers investors a range of benefits including lifelong dividends as well as cash-outs to an ETH wallet at any time, flexibility as well as token price growth with dividend payouts on each transaction. URA.market operates an honest refusal of ownership and secures your transaction through the latest crypto technology. No investor deposits are taken or transferred to the platform operator, and users are free to leave the platform at any stage. With all smart contracts immune to the developer and third-party manipulation, any contract that imitates a token is given a ‘Withdrawal from Ownership’ status offering the investor a piece of mind. Following the BTC lead, we are a community- led project whose sole aim is to provide a stable, innovative and secure platform to maximise your crypto investment and market assets. For all media and industry queries, please contact us at info@ura.market or chat to us today – we are keen to hear from you! 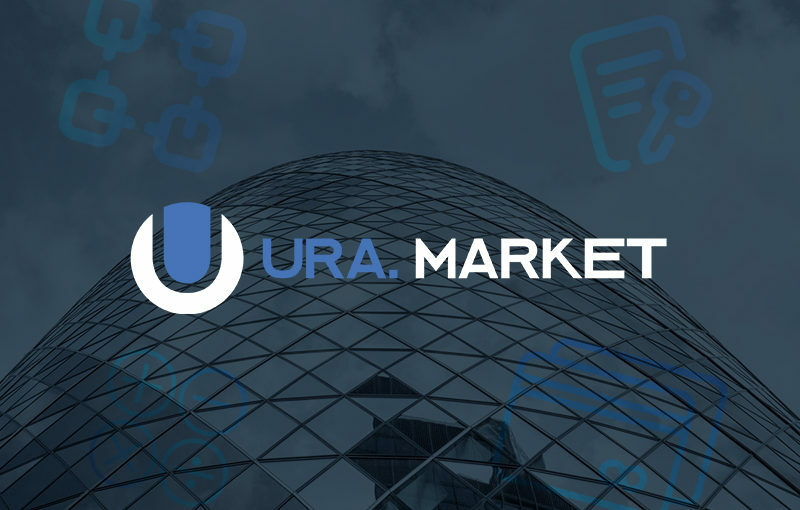 About Ura.Market: To find out more about us, please visit our website or read our manifesto. 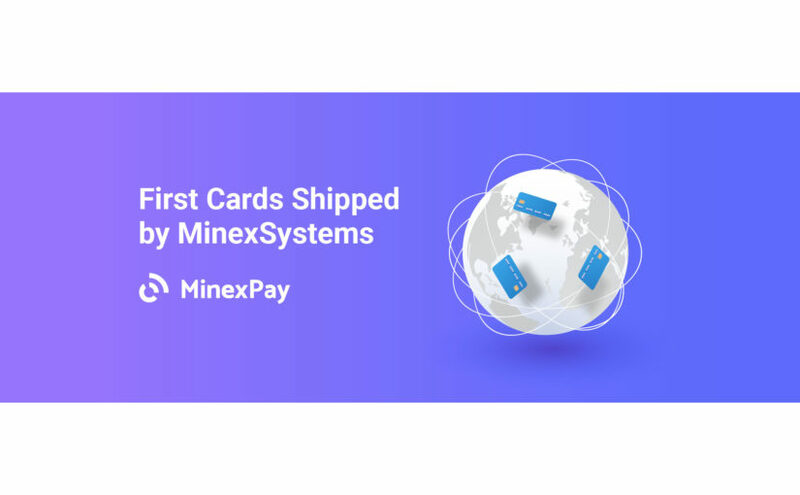 MinexSystems, a full-service development company specializing in blockchain products, has started shipping the globally accepted cards ordered via MinexPay. Soon, users from all over the world, without limitations, will receive the first batch of cards ordered with MinexPay service, allowing them to spend the crypto on goods and services where usual payment cards are accepted and, more importantly, cash out crypto at the nearest ATM starting at 0% fee. As an integral part of the ecosystem, Minexcoin is expected to grow in demand thanks to the general amount of MNX held at the minimum required card balances. MinexSystems also invites users to benefit from 45% yearly parking rates within its unique service — MinexBank. Currently, MinexPay offers four different tariff plans for the ordered cards: Standard, Gold, Platinum, and Infinite. Depending on the plan type, the ATM withdrawal fee starts at 0%, meaning that users can cash out crypto for free and receive up to 1% cashback for payments with the card purchased at MinexPay. More information about the tariff plans, fees, and limits can be found here. Minexcoin is an integral part of the MinexSystems network. Therefore, the more people use any of the services, the more demanded MNX becomes. In case of the cards purchased via MinexPay, users need to have 1,000 MNX as the minimum required balance to cash out crypto at 0% fee, or 200 MNX — to cash out crypto at 2% fee. This minimum required balance in MNX entirely belongs to the card owner and they can withdraw it at any moment. However, to take advantage of such low fees, users need to hold a particular amount of MNX on their card balance, as shown in the example above. According to the requests, MinexSystems is expecting 30,000 card sales by the end of Q2 2019, and, if the forecast is correct, there will be over 3 million MNX held at the minimum required balances, which is 75% from the existing circulation supply. Naturally, it will affect the Minexcoin price positively. More information about the minimum required balances for each tariff plan can be found here. Apart from the global crypto debit cards, MinexSystems offers various blockchain products. Thus, one of the company’s unique services, MinexBank, is the first that encourages Minexcoin owners to hold the MNX coins in their wallets with a savings purpose. Thanks to this mechanism, everyone can get Minexcoin for free as interest for their balance assets in MNX without transferring funds to anyone. MinexBank uses parking as a confirmation of the intention of Minexcoin holder not to bring the coins from the wallet to the market within the specified period. This intention is confirmed by the Minexcoin owner by creating an application in the MinexBank algorithm. MinexBank offers various parking rates depending on the timeframe. For example, currently, users can benefit from up to 45% of the yearly rates. More information about MinexBank services and rates can be found on the official website. Cryptocurrency market is on shake. Someone has already thrown the auction and brought everything to fiat, someone just “gossip” in the hope of the future. After the late 2017 hype, money that goes around the market seems ridiculous. In fact, even in flat and falling, you can earn. For example, MGO is a very promising token. Token has a very good scope of application: computer and mobile entertainment market. The industry shows explosive growth and it is not going to stop. Is it any wonder that MobileGO is growing where the rest of the market is heading down? In addition, the very concept of the token finds approval and positive feedback on MobileGO from the players. MobileGO token can be found under the ticket MGO. Token is traded on dozens of different exchanges, but in fact, only two of them provide enough volume for trading: Digifinex and BCEX. There is little on Ethfinex and Bitforex. Let’s proceed directly to trading and profits. MGO is a token for HODL. In other words, it should be taken into a portfolio for long-term investments. Why? Let’s look at the dynamics. In the trading pair with USD, growth for the year – 157%, growth for the month – 236%. In the short term, on the contrary, it falls, about 11% per week. What are the prospects? They talk about cooperation with several leading IT-companies. On the part of the product – no concerns. From the market side, the token varies slightly. However, the price of it can take off at any second. The potential of MGO is huge. Where you can buy MGO tokens? MobileGO is a great token with good prospects for the future. We won’t be surprised at all if in half a year its price breaks through one dollar mark. By the way, on December 5 – December 19 in 2018 MobileGO is having another airdrop. In order to become the rewarded participant of this MobileGO airdrop it’s necessary to follow all social media pages and channels of the project. Also, users must retweet posts about two main releases of December. Such activity is rewarded with 1 MGO token. If a user wants to earn more MGO tokens, 1 is given for installing GShare and earning 1 GShare Gold. Two more MGO are shared as a free reward for the first 100 participants who will complete the mentioned above tasks. 10 users with the largest Gshare Gold balance will also get additional 6 MGO tokens on their accounts. Anyone has a chance to get from 1 to 10 MGO tokens for free taking part in the airdrop! If you need more details – visit t.me/mobilegoairdrop or airdrop.mobilego.io! Upfiring’s is a blockchain firm were keeping a close eye on here at CoinSpectator, the team recently showcased a demo of the dApp for its upcoming v1.0.0 release. 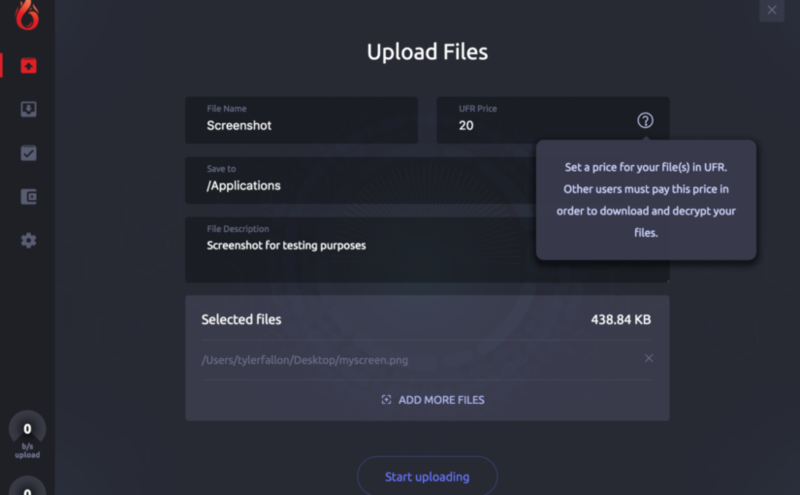 The firm is looking to revolutionise the P2P file-sharing sector by utilising the Ethereum blockchain. 2018 has been characterised by frequent peaks and troughs in the world of blockchain and cryptocurrency, yet there remains an unwavering army of seasoned investors who are keen to invest in blockchain technology. Many experts are in agreement that it will become an integral part of the future of securing data and will help to eliminate issues like the recent data breaches at the NHS and British Airways. The problem for many investors is the uncertainty and confusion associated with blockchain and cryptocurrency investments. Firstly, identifying listed companies which are directly involved in blockchain takes time and due diligence. Secondly, if looking to invest in private companies, you need to know someone in the business will be willing to sell a stake – and then there is the risk that you may never be able to sell that stake in the future. Finally, investing in cryptocurrencies themselves is widely regarded as a difficult process for the average investor. The standard process is to buy Bitcoin from an exchange such as Coinbase, transfer to a crypto exchange such as Binance, buy and sell other cryptos, then reverse the process to cash out. Each of these stages takes time and effort and leaves the investor open to numerous risks such as complicated validation protocols, multiple accounts and simply knowing when to buy and sell. These large and complex challenges are what has led to the launch of Quantatex, a new to market, actively managed alternative investment account which allows investors to begin capitalising on opportunities in the blockchain space quickly, simply and efficiently, without needing to spend time developing their own understanding of this often complex area of trading. Quantatex trades both sides of the market by employing long and short trading to exploit the significant intraday moves, thereby minimising the losses through stringent risk management and capitalising on the gains by running trades to their optimum valuation. Investments are updated daily and clients have 24 access to their funds to add or withdraw whenever they wish. The Quantatex team comprises skilled traders and qualified analysts, who collectively have over 50 years of experience in financial markets and bring to bear techniques and strategies, developed over years in the equity, FX and commodity markets. Furthermore, all Quantatex traders are qualified to at least RDR level 4 with the CISI (Chartered Institute for Securities and Investment) are on the FCA register and all analysts hold CFA (Chartered Financial Analyst) qualifications. Opening an account with Quantatex is easy. Customers can either register for an account online at www.quantatex.com or pop into the company office in Cornwall, UK. Mitch Blakeway, Head of Trading at Quantatex, believes that the New Year is a prime time for investors to add blockchain and cryptocurrencies to their portfolio, given the explosive nature of the market in recent months. “Traditional investment markets have historically been slow to move when compared to the exciting asset class of cryptocurrencies. Through extensive and detailed back testing over a number of months, our team has found that the tried and tested techniques and strategies can be successfully applied to cryptocurrencies in order to produce favourable returns. Whilst investing in cryptocurrencies remains an extremely high risk investment, we employ the most stringent of risk management techniques to ensure the funds we manage stand the best chances of achieving positive growth,” explains Mitch. Photo by Jacek Dylag on Unsplash. E-commerce is one of the largest and fastest growing sectors in the world, and it has the statistics to back it up. A report conducted by Statista revealed that it generated around $2.3 trillion in revenues and expected to reach up to $4.5 trillion in 2021. In the United States alone, 10 percent of retail sales are from e-commerce, and that figure is growing every year by 15 percent. These figures reveal the opportunity in-store for e-commerce businesses and also the fact that they cannot survive by relying on their brick-and-mortar stores anymore. In other words, they have to be where their customers hour 24/7. With that said, we can say that some of the most successful businesses in the world are e-commerce sites. But what is their secret to success? How did they get there when other have difficulty? Below are five of the most successful e-commerce sites and some lessons we can all learn from, especially for those who are planning to have an online venture. Amazon is considered the leader of the pack when it comes to e-commerce; however, it did not reach that status overnight. Established in 1994 as Cadabra, Inc., it had a detestable logo and a website that left little to desire for. Moreover, it only sold books. Fast forward to now – Amazon is the exact opposite of everything it was at the beginning. There are many reasons why Amazon became a success, but the primary factor for that is how they leverage data. You can see that in widgets filled with unique product recommendations across the site. That catches the eyes of any visitor giving them the opportunity to make more purchase. All through the years, Amazon has mastered the art of online retail, especially in giving visitors a personalized experience. By gathering the behavior data of their visitors, they know what kind of products attract each buyer and what they use to draw attention. Aside from that, Amazon has one of the most secure payment gateways, making people feel secure in giving their card information details. E-commerce startups should always put a secure payment gateway on top of their priority lists. Some of these include Skrill, Monetha, Stripe, and PayPal Payments Pro. As of 2017, Amazon has an estimated $177.866 billion in revenues. Lazada is to Southeast Asia as Amazon is to North America. The Rocket Internet created it because of Amazon’s lack of presence in the region. Launched only in 2012, Lazada is the largest e-commerce platform in Singapore, Vietnam, the Philippines, Malaysia, Thailand, and Indonesia. At first, Lazada had its warehouse where it stored most of the goods they sold. However, they allowed third-party retailers to sell their products in 2013. That move proved to be one of the best it had done because it has accounted for 65% of in 2014. Lazada continued to secure its place in the region as the number one online retail platform when it struck a deal with Jack Ma’s Alibaba Group. The deal gave Alibaba a controlling stake in the company. In 2016, Lazada claimed that their total annual sales in their Southeast Asian market are $1.36 billion. Dubbed as Asia’s Online Fashion Destination, Zalora can be considered Lazada’s competitor in the region. However, there are a few minor differences between them. Zalora only sells clothing, shoes, and accessories. Aside from Southeast Asia, it also operates in Taiwan, Hong Kong, Australia, and New Zealand. Zalora was founded in Singapore in 2011 with the goal of making top fashion brands accessible and more affordable for everyone. According to a report in Tech in Asia, Zalora’s 2015 – 2016 revenue is up by 300% from 2014. At present, the e-commerce platform carries more than 1000 fashion brands with 120,000 products sold on the site. Forever21 is a Korean fashion brand founded by a husband and wife team in 1984. The brand’s story is one for the books. New immigrants in the United States with barely a college education, they started with $11,000 and capitalized on wholesale closeouts. The venture proved to be successful as they earned $700,000 in sales that year. Now, 790 stores and growing in 48 countries, the Changs saw the opportunity of increasing their sales even more online. Again, that proved to be a good move as their e-commerce store’s 2017 global revenue was $456.8 million. 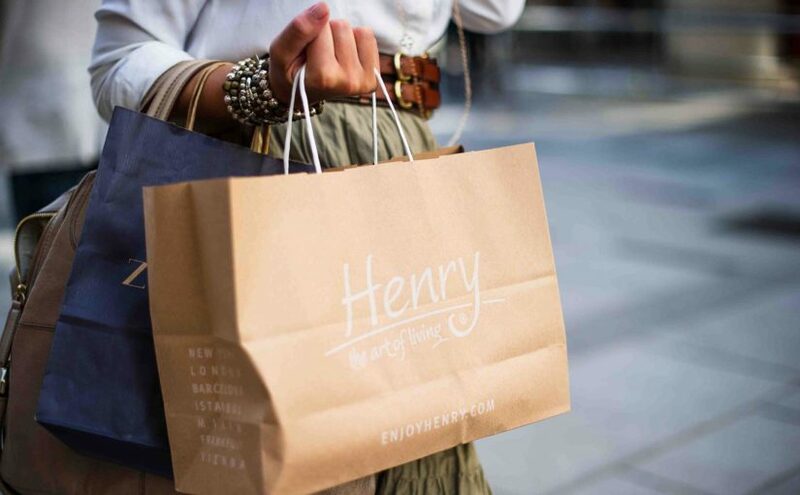 What makes the brand’s online store successful? One, they make sure that the products they sell are always in line with their brand’s value. Two, they continually update their products so people will have something new every time they visit the store. Three, they have a dynamic affiliate program which plays a huge factor in their sales. Flipkart is considered the #1 online store in India. Its founders, Sachin Bansal and Binny Bansal, used to work for Amazon so it’s not surprising to see that they modeled their online store after their former employer. Like Amazon, Flipkart started selling books only, but as the company grew, it acquired different businesses including Lulu.com and Myntra. Soon, it began selling other stuff from toys to clothes to tech gadgets. Flipkart’s estimated revenue as of 2017 is $2.8 billion. All the above e-commerce stores started small, but with the right attitude and strategy, they were able to beat all odds and reach success. If you are planning to establish your online store, learn from these success stories. Bitcasino.io, the world’s first licensed bitcoin casino, has recently re-launched with a new and advanced website. With up to eight times faster loading speed compared to its competitors, Bitcasino.io is now offering the fastest and most user-friendly casino experience to the bitcoin gambling enthusiasts around the world. Bitcasino.io is pleased to announce that their new and improved website is now up and running. Operated by the Coingaming Group, Bitcasino is the first ever licensed bitcoin-led online casino dedicated to offering a fair, fast, and fun gaming experience to gamers globally. 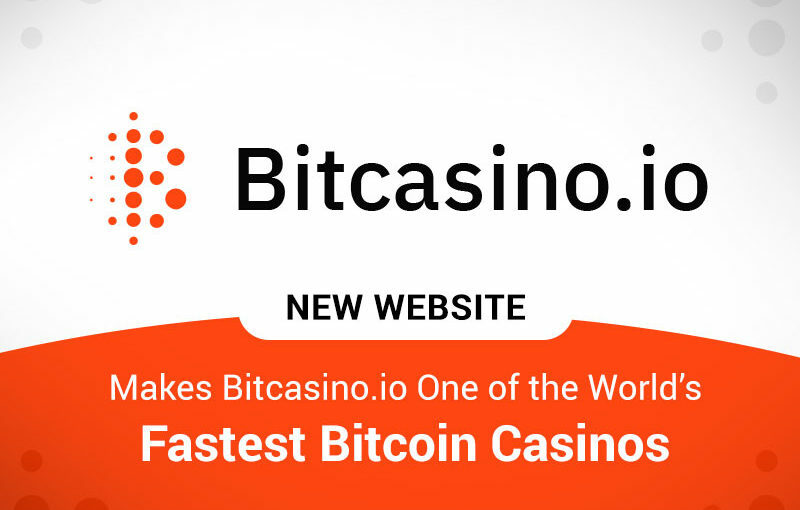 With the launch of their new website, Bitcasino has earned the distinction of becoming one of the world’s fastest loading online casinos, with eight times faster loading speeds compared to most of its competitors. It’s well known that loading speed is one of the most important parameters of satisfaction for users of any website. Slow loading websites not only create frustration among users, but also causes serious navigation issues. Therefore, Bitcasino’s team of designers and developers spent the last two months relentlessly working to create the most responsive, mobile-first and customer-friendly online casino. 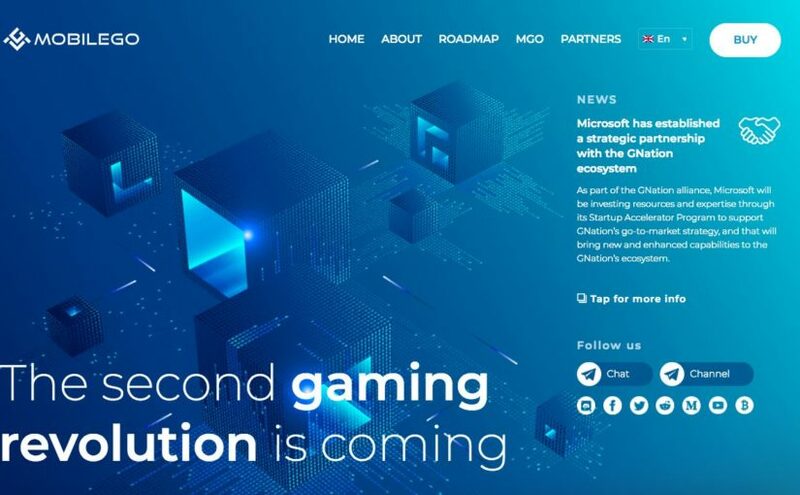 The new mobile-first Bitcasino site loads in just two seconds, which is thirteen seconds quicker and eight times faster compared to some of the most accomplished bitcoin gaming brands. The launch of this new website has now opened up the quickest route to the ultimate casino experience for the new generation of technology savvy gamers who wish to play and withdraw within a matter of minutes. The re-launched Bitcasino website, however, is not just about speed. 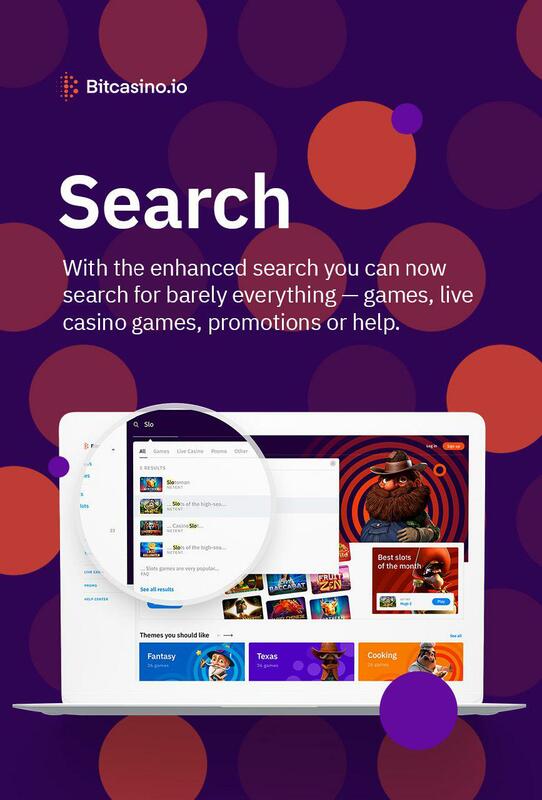 It also offers a host of features that enable players to completely personalise their experience, including an extensive range of configurable search filters, additional cryptocurrency options, easy-to-use and control wallet options, and a wide range of new and improved promotions. Designed based on feedback from existing players, the new Bitcasino site utilises personalised filter capabilities to offer games which suit the precise preferences of individual players. In the coming weeks, as part of a drive for continuous improvements, players will also be allowed to search for games that suit the gameplay type of any particular player, including parameters such as Return to Player (RTP) percentage, hit frequency and volatility. The new website contains over 1500 games for every and any type of player, whether they prefer feature-rich games with smaller but more frequent wins, or classic high volatility slots with less hit frequency but huge payouts. It also offers lightning-fast deposits and withdrawals secured by the blockchain, anonymously and effortlessly. The Bitcasino team has even thought about those new to crypto world and continue to work with BTCXE, the industry’s first fiat-to-Bitcoin currency converter, allowing anyone the opportunity to securely and easily join in the crypto casino fun. “Our philosophy is to put our customers at the center of the universe, and we have done exactly that with our re-launched Bitcasino product which truly is the ultimate, player-centric, mobile-first product,” Tauri added. To find out more about Bitcasino, please visit here. About Bitcasino: Founded in 2014 as part of the Coingaming Group, Bitcasino is the world’s leading bitcoin-led casino operator. Bitcasino has an expansive, quality casino product featuring more than 1,500 games, including slots, table games and live dealer casinos from some of the industry’s leading suppliers. These are hosted on its proprietary platform, developed by leading designers and software engineers to create the ultimate user experience for players. TechFinancials a listed fintech software provider of financial solutions including blockchain-based digital assets and traditional financial trading solutions for retail clients, is pleased to announce that the CEDEX blockchain diamond exchange, CEDEX, has gone live in Beta mode, allowing investors to trade diamonds as a financial asset class. TechFinancials has a 2 percent interest and an option to acquire a further 90 per cent of Cedex Holdings Ltd, the holding company for the CEDEX blockchain-based online exchange for diamonds which would give TechFinancials up to 92 % of CEDEX or 87.4 % on a fully diluted basis. TechFinancials has played a major role in the launch of CEDEX as the main provider of the infrastructure, blockchain and smart contract development on which the CEDEX platform is built. 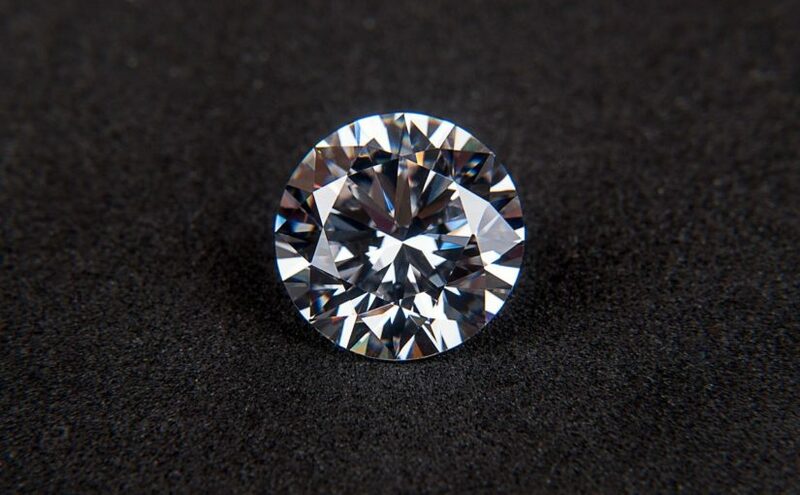 CEDEX allows investors to securely and easily trade in digitized diamonds (DDC – Digital Diamond Certificate), while enabling diamond holders to liquidate their assets. Using the innovative DEX proprietary algorithm and blockchain technology, CEDEX has overcome the three main obstacles that have prevented diamonds from becoming a tradable asset class: lack of transparency, liquidity and standardization. Obtaining the legal approvals to offer the phase one product worldwide.